Here's a look at the many wonderful Christmas films on the TCM schedule in December! Themes this year include "The Christmas Spirit," "Holiday Romance," and "Christmas Kids," as well as a marathon of five different versions of A CHRISTMAS CAROL. The TCM special A NIGHT AT THE MOVIES: MERRY CHRISTMAS! (2011) also airs this month, on December 15th and 23rd. ...The Christmas films kick off on December 8th with a double bill of two Debbie Reynolds Christmas movies, SUSAN SLEPT HERE (1954) and BUNDLE OF JOY (1956). I just saw SUSAN for the first time a few years ago, and it's become a favorite Christmas film. It's a lot of fun, and most of all I love the '50s decor! ...The Reynolds movies are immediately followed by Cecil B. DeMille's silent film THE KING OF KINGS (1927), about the life of Christ. ...A week later, on December 15th, the day's lineup includes the MGM version of A CHRISTMAS CAROL (1938), plus HOLIDAY AFFAIR (1949), THE BISHOP'S WIFE (1947), THE THIN MAN (1934) -- which isn't a Christmas movie but has a memorable Christmas scene -- THE MAN WHO CAME TO DINNER (1942), and THE LEMON DROP KID (1951). Needless to say, these are all films very much worth checking out. The only one I don't especially care for is THE LEMON DROP KID, yet that film is also important as it produced one of my favorite Christmas songs, "Silver Bells." 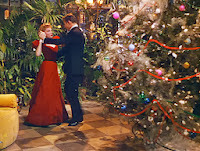 ...The evening of the 16th features the TCM premiere of the 20th Century-Fox film O. HENRY'S FULL HOUSE (1952), a multi-story film featuring Jeanne Crain and Farley Granger in "The Gift of the Magi." 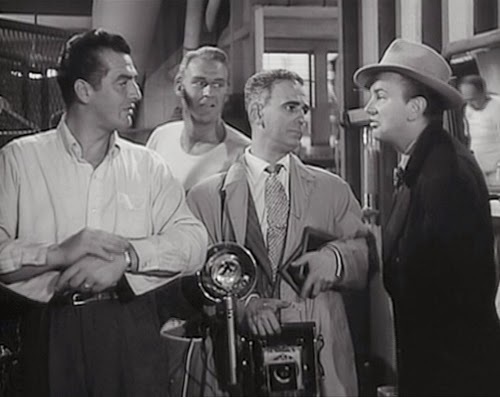 It's followed by MEET JOHN DOE (1941), GOOD SAM (1948), IT HAPPENED ON FIFTH AVENUE (1947), and MR. SOFT TOUCH (1949). 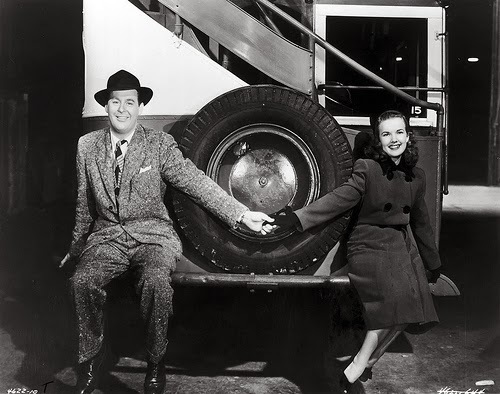 I just saw IT HAPPENED ON FIFTH AVENUE for the first time in 2011 and really enjoyed it; Don DeFore and Gale Storm lead an excellent cast. ...Romance is in the air on December 17th, starting with another airing of HOLIDAY AFFAIR (1949), starring Robert Mitchum and Janet Leigh; their romance feels very "real," and it's a film I highly recommend. It's followed by Fred MacMurray and Barbara Stanwyck in the excellent REMEMBER THE NIGHT (1940). THE HOLIDAY (2006) is a relatively recent film with a classic film sensibility, a nice addition to TCM's holiday films. BACHELOR MOTHER (1939) is an all-time favorite film starring Ginger Rogers and David Niven; it's followed by a remake, BUNDLE OF JOY (1956). ...It's CHRISTMAS CAROL Night on Thursday, December 19th, starting with the musical SCROOGE (1970). That's followed by the highly regarded 1951 Alastair Sim version, a 1935 British version which is completely new to me, and the beloved 1938 MGM version with Reginald Owen and the Lockhart family. 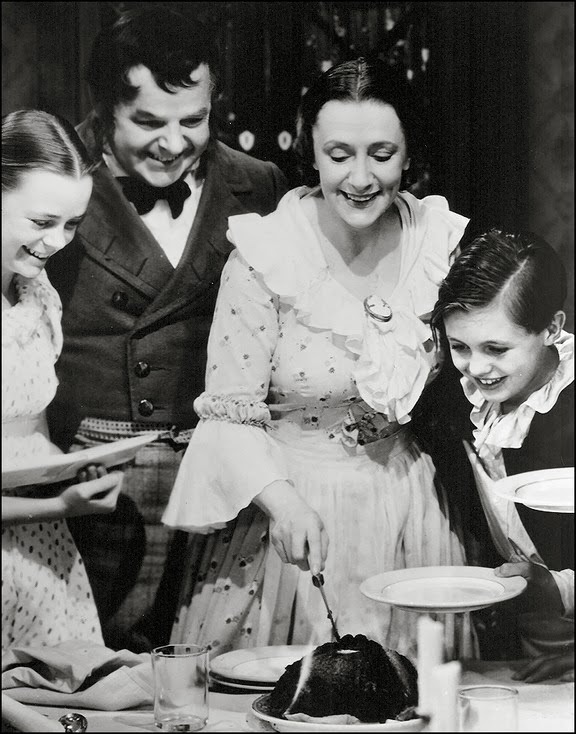 The marathon concludes with the TV production A CAROL FOR ANOTHER CHRISTMAS (1964). ...There's another TCM premiere on December 21st: CHRISTMAS EVE (1947) starring Randolph Scott, George Brent, George Raft, and Joan Blondell. AUNTIE MAME (1958) and ALL MINE TO GIVE (1957) are also on the schedule. 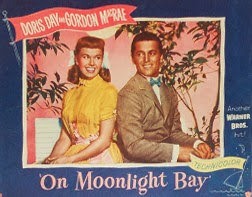 ...ON MOONLIGHT BAY (1951) features Doris Day singing "Merry Christmas, All." It airs on the 22nd. ...THE SHOP AROUND THE CORNER (1940) also airs on Sunday, the 22nd, immediately followed by its remake, the improbably titled IN THE GOOD OLD SUMMERTIME (1949). In keeping with this month's religious theme for Silent Sunday Nights, the silent version of BEN-HUR (1925) also airs on the 22nd. ...Christmas movies air 'round the clock on December 23rd and 24th. Titles airing on the 23rd not previously mentioned here include LITTLE WOMEN (1933), LOVE FINDS ANDY HARDY (1938), 3 GODFATHERS (1948), MEET ME IN ST. LOUIS (1944), THE BELLS OF ST. MARY'S (1945), LITTLE WOMEN (1949), and TENTH AVENUE ANGEL (1948). Those last few titles fall under the theme of "Christmas Kids"; three of the four star Margaret O'Brien, while THE BELLS OF ST. MARY'S has O'Brien's MEET ME IN ST. LOUIS sister, Joan Carroll, in the cast. MEET ME IN ST. LOUIS is a holiday "must" in our house. 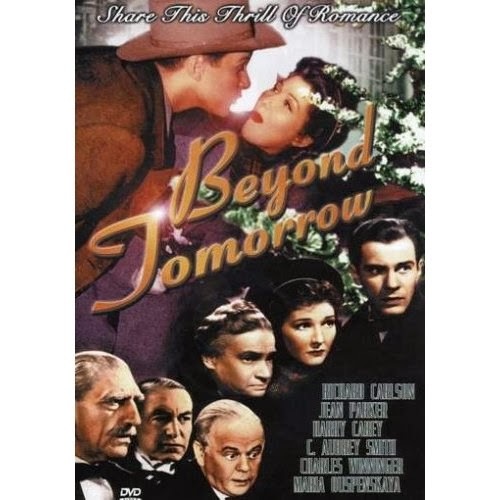 ...The fantasy BEYOND TOMORROW (1940) starts off the lineup on Christmas Eve, a day which also sees the reruns of numerous films previously mentioned. 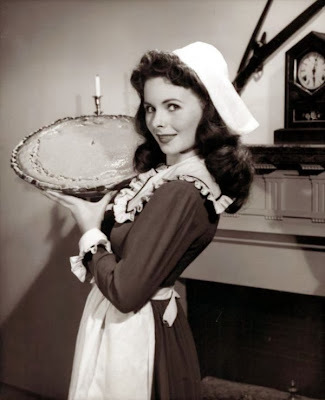 ...For the last few years Robert Osborne has made it a point to feature a 20th Century-Fox film among his annual Christmas Eve picks, showcasing titles such as CHICKEN EVERY SUNDAY (1948), MARGIE (1946), and COME TO THE STABLE (1949). 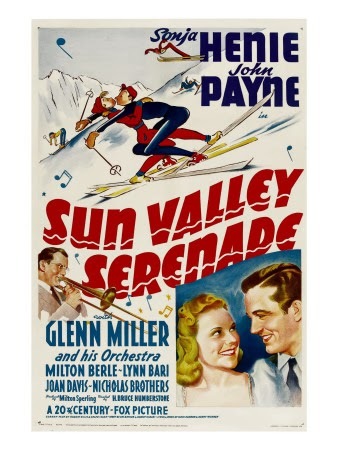 This year his Fox pick is SUN VALLEY SERENADE (1941), which I happened to watch last Christmas Day. 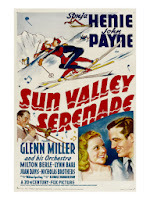 It's a marvelous film starring John Payne, Sonja Henie, Lynn Bari, and Glenn Miller. There are so many reasons to watch this film I can't list them all here, so please read my post on the movie and then be sure to watch or record it! 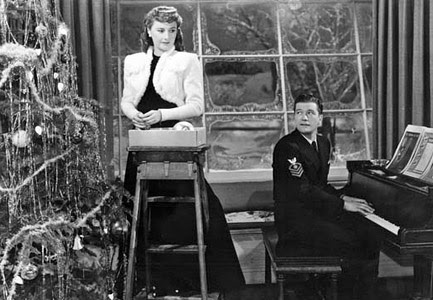 ...I'm also glad Mr. Osborne is shining the Christmas Eve spotlight on I'LL BE SEEING YOU (1944), a film which deserves to be much better known. 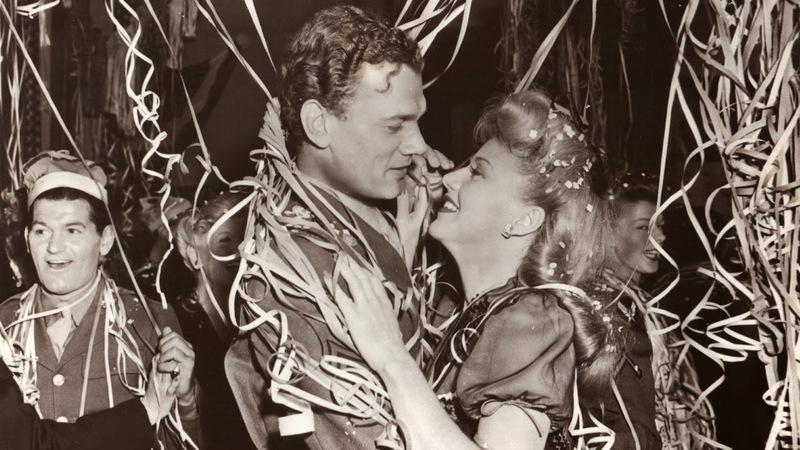 Ginger Rogers and Joseph Cotten play two troubled people who find each other, and new hope, at Christmastime. There are excellent supporting performances by Tom Tully, Spring Byington, and Shirley Temple. 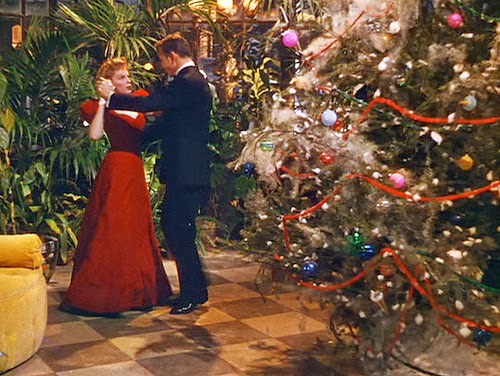 ...Rounding out the Christmas Eve list: CHRISTMAS IN CONNECTICUT (1945), returning to TCM after curiously being missing during Barbara Stanwyck Month last December; one of my top seasonal favorites, THE BISHOP'S WIFE (1947) with Cary Grant, Loretta Young, and David Niven; and Cary Grant and Katharine Hepburn in HOLIDAY (1938) which has nothing to do with Christmas, but why not? :) The short STAR IN THE NIGHT (1945) completes the Christmas Eve lineup. 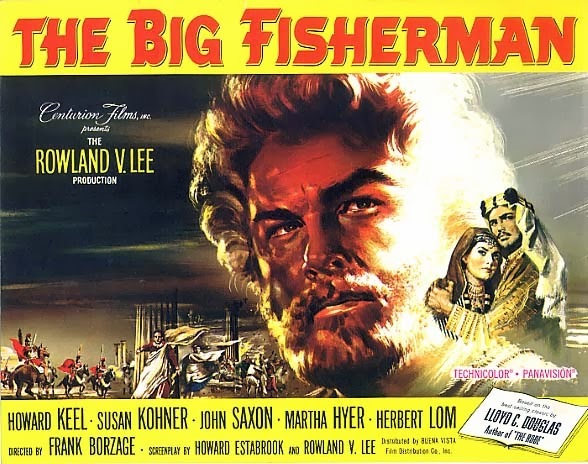 ...Religious films will air on Christmas Day: THE MIRACLE OF OUR LADY OF FATIMA (1952), THE BIG FISHERMAN (1959), BEN-HUR (1959), THE ROBE (1953), and KING OF KINGS (1961). For more on TCM this month, please visit TCM in December: Highlights and TCM Star of the Month: Fred Astaire. Season's Greetings and Merry Christmas! Happy December, and welcome to what is always one of my favorite months of the year on Turner Classic Movies. Here's a look at just a few of the many other highlights from TCM's December schedule! ...There are a number of good movies on December 1st to finish out the long holiday weekend. 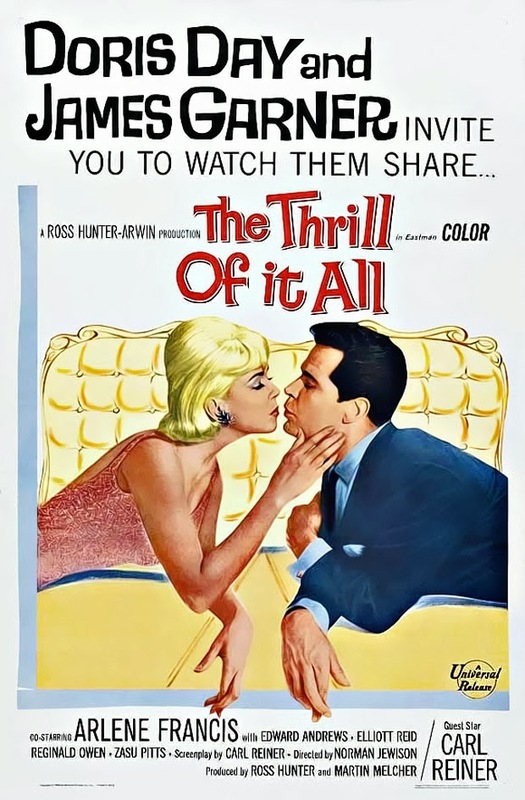 I always get a kick out of James Garner and Doris Day in THE THRILL OF IT ALL (1963), which would be worth watching if only for the priceless swimming pool scene. ...The other day I happened to mention THE BIG STEAL (1949), a very enjoyable Mexican chase film starring Robert Mitchum and Jane Greer, with a nice role for Ramon Navarro. It's on December 2nd. ...A night of gangster films on December 3rd includes THE ROARING TWENTIES (1939). 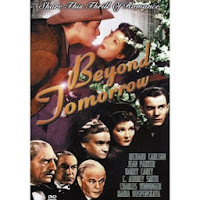 The movie stars Cagney and Bogart, but I especially appreciate that the supporting cast includes Priscilla Lane and Jeffrey Lynn, two favorites who also appeared in the FOUR DAUGHTERS series for Warner Bros. ...There's a nine-film marathon of pirate movies on December 4th. I recall THE PRINCESS AND THE PIRATE (1944), starring Bob Hope and Virginia Mayo, as colorful fun and look forward to seeing it for the first time in years. ...This month's Friday Night Spotlight series focuses on costume design. The series kicks off December 6th with a pair of films designed by one of my favorites, Travis Banton. I can't recommend Claudette Colbert in the mind-blowing DeMille epic CLEOPATRA (1934) highly enough. 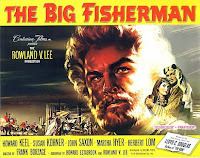 This is a must-see for classic film fans, especially the barge sequence, which must have been stunning to watch in the depths of the Great Depression. ...Pearl Harbor Day is commemorated with several WWII films, including the multi Oscar winner FROM HERE TO ETERNITY (1953). ...It's Margaret Hamilton Day on December 9th, and she has a very good role in the Robert Montgomery-Helen Hayes marital drama ANOTHER LANGUAGE (1933). 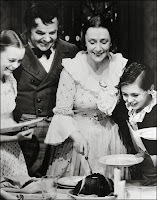 Hamilton recreates her stage role in an interesting though frustrating story about a mama's boy (Montgomery) who continually places the needs of his nasty mother (Louise Closser Hale) over his bride (Hayes). 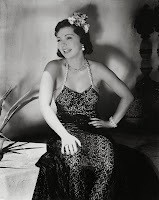 ...A couple of years ago I had the chance to see MANHATTAN MELODRAMA (1934) as part of a presentation on the career of Myrna Loy at the Egyptian Theatre. It's an absorbing drama with Clark Gable and William Powell as childhood friends who part ways as adults, with one becoming a career criminal and the other a district attorney. You certainly can't beat the three lead actors! It airs December 10th. ...The theme is football on December 11th, and I highly recommend director Jacques Tourneur's EASY LIVING (1949). 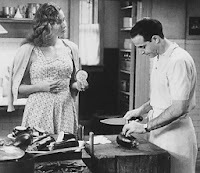 EASY LIVING -- not to be confused with the Jean Arthur comedy -- is an excellent drama about a pro football player facing the fact it's time for him to leave the game. The superb cast includes Victor Mature, Sonny Tufts, Lizabeth Scott, Lucille Ball, Lloyd Nolan, Richard Erdman, Jack Paar, Paul Stewart, Jeff Donnell, and Jim Backus. It's a film which deserves to be better known. ...Frank Sinatra's birthday on December 12th includes THE TENDER TRAP (1955), which has one of the best movie openings of all time. ...I've never seen THE GOLDEN MASK (1954) but I like the leads, Van Heflin and Wanda Hendrix. It's on December 13th. ...Randolph Scott and Barbara Hale star in the Western SEVENTH CAVALRY (1956) on Saturday, December 14th. Can't think of a better way to spend part of a Saturday than with Randolph Scott! ...Musicals by Betty Comden and Adolph Green air on Wednesday, December 18th. 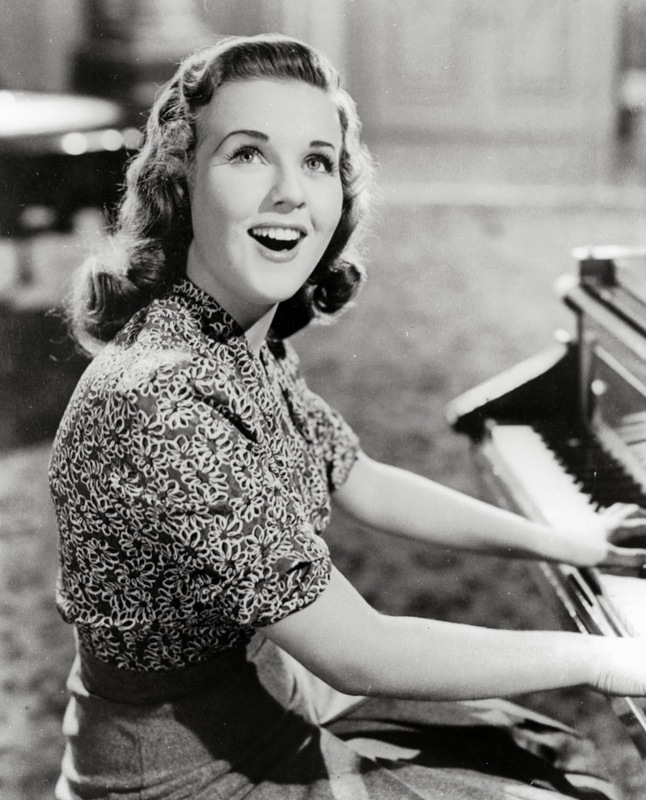 The terrific lineup includes favorites such as GOOD NEWS (1947) and THE BAND WAGON (1953). 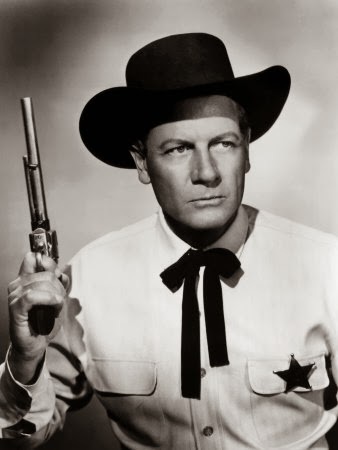 ...December 19th is a day of Westerns, and I especially recommend one of my favorite films seen this year, WICHITA (1955) stars Joel McCrea as Wyatt Earp; it was directed by Jacques Tourneur. Watch for Peter Graves in a fun role. ...Irene Dunne was born December 20, 1898, and TCM celebrates the multi-talented Dunne on the 20th with nine films. Titles such as SHOW BOAT (1936), THE AWFUL TRUTH (1937), and LOVE AFFAIR (1939) display Dunne's talent for singing, comedy, and drama. ...What better way to move on from Christmas films than with the classic "train noir" THE NARROW MARGIN (1952) on December 26th? 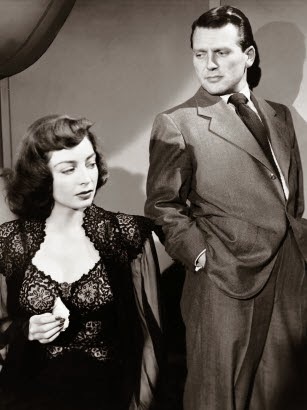 They just don't come any better than this film with Charles McGraw and Marie Windsor. ...There's more noir on the 27th with Robert Mitchum and Jane Greer in OUT OF THE PAST (1947), partly filmed in one of my favorite places, Bridgeport, California. ...I just bought the Twilight Time Blu-ray of LEAVE HER TO HEAVEN (1945), which can also be caught on Saturday night, December 28th. This "Technicolor noir" is a visual stunner -- you won't soon forget Gene Tierney's green eyes. ...December 30th pays tribute to Russ Tamblyn, who I've been fortunate to see in person a couple times this year. Titles include my favorite film, SEVEN BRIDES FOR SEVEN BROTHERS (1954), plus THE FASTEST GUN ALIVE (1956) with Glenn Ford and Jeanne Crain. ...On the 30th there's also a tribute to several actors who passed on this year, including one of my all-time favorite stars, the incomparable Deanna Durbin. One of her best films, IT STARTED WITH EVE (1941), will be shown. Charles Laughton and Bob Cummings costar in this quite wonderful, very funny movie. Italian brothers struggle to make a go of their floundering restaurant in BIG NIGHT (1996), cowritten and codirected by star Stanley Tucci. I first read about BIG NIGHT in conjunction with the release of Tucci's beautiful cookbook last year. It took me a while but I finally caught up with the movie, a "slice of life" set on the East Coast in the '50s. BIG NIGHT chronicles a couple of make-or-break days as the brothers' business is about to go under...but maybe publicity from a promised visit by Louis Prima will help. 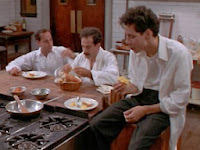 Tucci, who codirected with actor Campbell Scott, plays the younger brother, an immigrant to the U.S. who wants the world to eat his brother's (Tony Shalhoub) wonderful cooking but must also convince his brother to make compromises for financial reasons. For instance, risotto is expensive and time-consuming to make and the local clientele doesn't seem to appreciate it...nor do customers understand why they can't get meatballs with their spaghetti. It's a constant battle between the chef's creative vision and the ability to keep the doors open while they wait for the restaurant to be discovered. It's a fairly slow-moving 107 minutes and a bittersweet story, yet there are enough memorable characters and scenes to make the investment of time worthwhile. The quietly observed moments made me think a bit of the Japanese movies directed by Yasujiro Ozu which I enjoyed last summer. Allison Janney (THE WEST WING) is wonderful as a florist admired by the very shy older brother, and Minnie Driver likewise makes an impact as Tucci's loyal girlfriend. His reluctance to commit to her is mystifying...and then we learn he's also carrying on with Isabella Rossellini. It was interesting that a character who is otherwise rather uptight and straight-laced turned out to have a messy personal life. British actor Ian Holm convincingly plays the owner of a rival Italian restaurant, and Marc Anthony has a pretty much wordless role -- but a lot of screen time -- as the restaurant's jack of all trades. That's co-director Campbell Scott, son of George C., as the Cadillac salesman. Perhaps not surprisingly, the best moments center around the preparation of food; this isn't a movie to watch on an empty stomach! The movie's final scene, which depicts the making and serving of an omelet in a single take, is completely wordless but really lovely, a reward for the patient viewer; I felt the movie was particularly worthwhile when it got to that moment. It will linger in the memory. BIG NIGHT is rated R for language. The film also has some mature subject matter. BIG NIGHT was released on DVD; it's now out of print and fairly expensive to obtain. However, it can be streamed via Amazon Prime and Netflix. Some other "foodie" films which may be of interest: TORTILLA SOUP (2001), a movie I like and hope to review here in the future, plus MOSTLY MARTHA (2001), NO RESERVATIONS (2007), and JULIE AND JULIA (2009). Stanley Tucci was also one of the stars of JULIE AND JULIA. 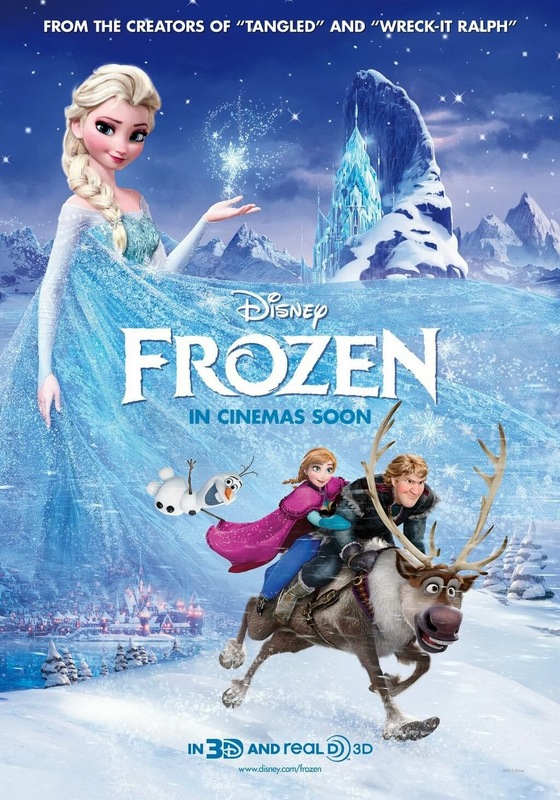 FROZEN (2013) is a deeply moving masterwork which joins the pantheon of classic Disney animated musicals. It's one of the finest films I've seen this year, classic era or new. This adaptation of Hans Christian Andersen's THE SNOW QUEEN hits all the right notes, starting with a stunning opening sequence with Nordic chanting while men cut ice from a frozen lake. FROZEN tells the story of royal sisters Elsa (Idina Menzel) and Anna (Kristen Bell). Elsa has mysterious icy powers which allow her to conjure up blizzards and freezing weather. (The cause of Elsa's power is never explained, but I don't think it matters...it's a fairy tale.) As Elsa matures and her powers become harder to control, especially when she's upset, she lives apart from Anna in order to protect her. When elegant Elsa comes of age and it's time for her coronation, she attempts to step into the public at last, with disastrous results which cause her to flee the kingdom. 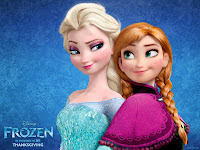 Anna determines to help Elsa, aided by mountain man Kristoff (Jonathan Groff), as well as Olaf (Josh Gad), a talking snowman who was Elsa's creation. Olaf, along with Kristoff's reindeer Sven, provides needed comic relief in counterpoint to the dramatic story. This is a film with strong emotional heft, and it has a soaring score and impressive production design to match. "Let It Go," sung by the solitary Elsa as she embraces her inner Snow Queen, is one of the great Disney anthems, which is also a visual stunner; I admit that I watched it through tears, deeply moved by its power and emotion. It's an unforgettable sequence. "For the First Time in Forever" was another favorite song in the score which was composed by Robert Lopez and Kristen Anderson-Lopez. Some of the more "contemporary" lyrics occasionally jar, given the setting, but overall it's an excellent score. 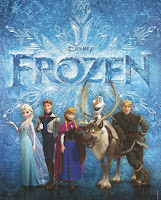 FROZEN was directed by Chris Buck and Jennifer Lee. Lee wrote the screenplay based on a story she authored with Buck and Shane Morris. The film runs 108 minutes. The voice cast also includes Santino Fontana, Ciaran Hinds, Edie McClurg, Maurice LaMarche, and Robert Pine (father of Chris). Parental Advisory: FROZEN is a very mild PG for reasons including "rude humor." Two notably crass moments, which the filmmakers sadly mistake for being "hip," mar what is otherwise a perfect Disney animated film. Here's more on the film from the Los Angeles Times ("with heart and heart-stopping action...fabulous") and Disney historian Leonard Maltin ("show-stopping renditions of soaring new songs...Disney still reigns supreme when it comes to sweeping musical fairy tales"). The trailer is available at the movie's official website. 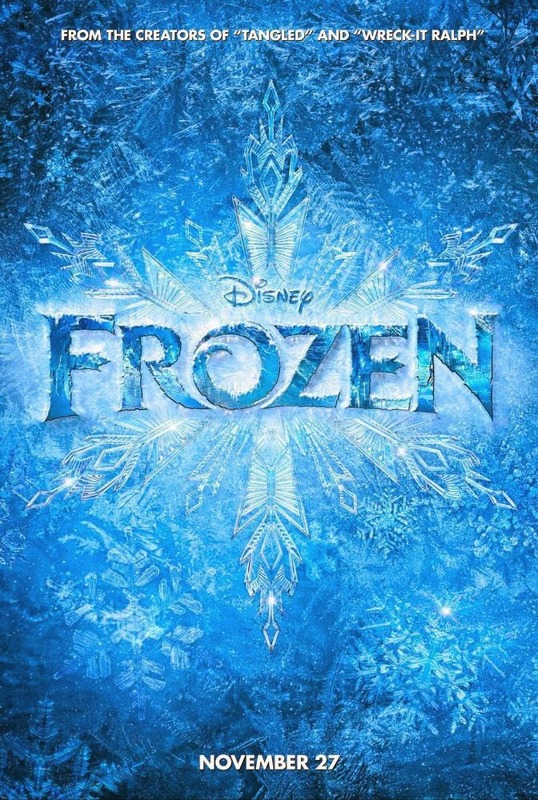 The trailer, curiously, gives no hint that FROZEN is a musical. 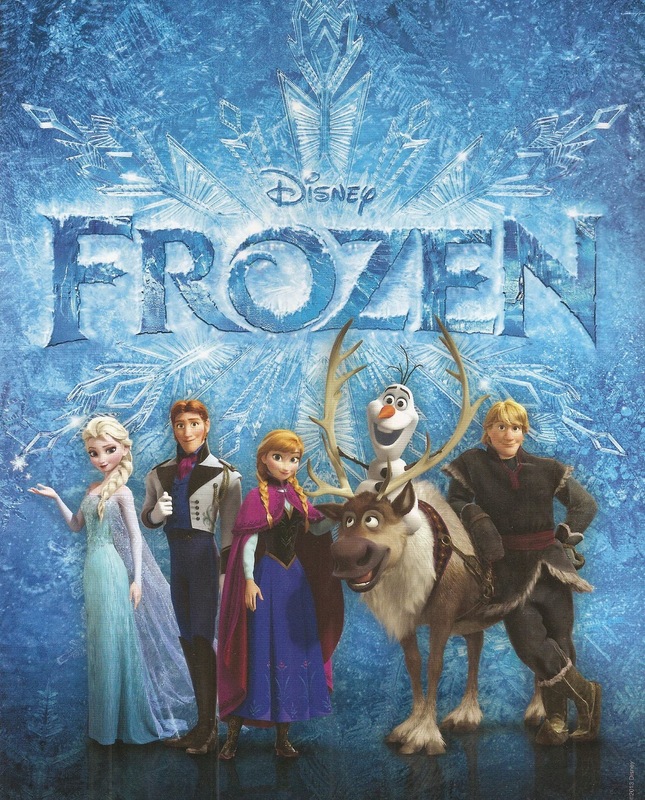 A must for those who love Disney animation or musicals, FROZEN is very highly recommended. Our movie following Thanksgiving dinner this year was RISE OF THE GUARDIANS (2012), an animated film from DreamWorks which proved to be a nice surprise. 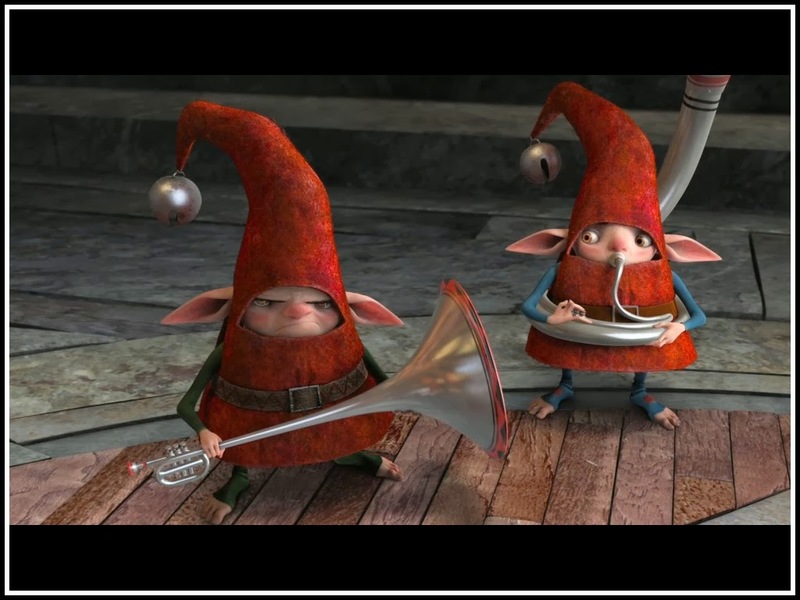 In an era when so many films are "reboots" and remakes, RISE OF THE GUARDIANS was enjoyable in part simply because the original thought which went into it was so evident. 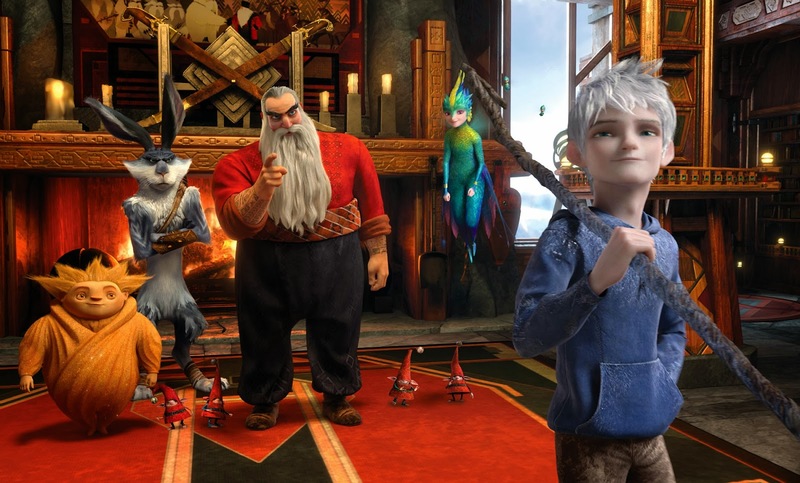 Jack Frost (Chris Pine) is a bit lost and unhappy, not understanding his purpose in the world, but he finds himself when he unites with Santa Claus (Alec Baldwin), the Easter Bunny (Hugh Jackman), the Tooth Fairy (Isla Fisher), and the Sandman to defeat the Boogeyman, Pitch Black (Jude Law). It may sound simplistic, but Jack turns out to have a moving back story, and the film's ultimate moment when children recognize they believe in Pitch but refuse to allow him to scare them anymore has some real depth to it, as they laugh in the face of darkness. The story also presents a nice lesson in that, after centuries of wandering, Jack achieves personal happiness when he helps others. The film ladles on well-thought-out and creative details, such as Pitch's black horses racing through children's rooms (night mares -- it took me a while to get the joke!). There's a nice balance of humor and drama, and the voice characterizations are excellent. I particularly enjoyed Hugh Jackman as a rather militant Aussie bunny who does not want to be cute and cuddly! 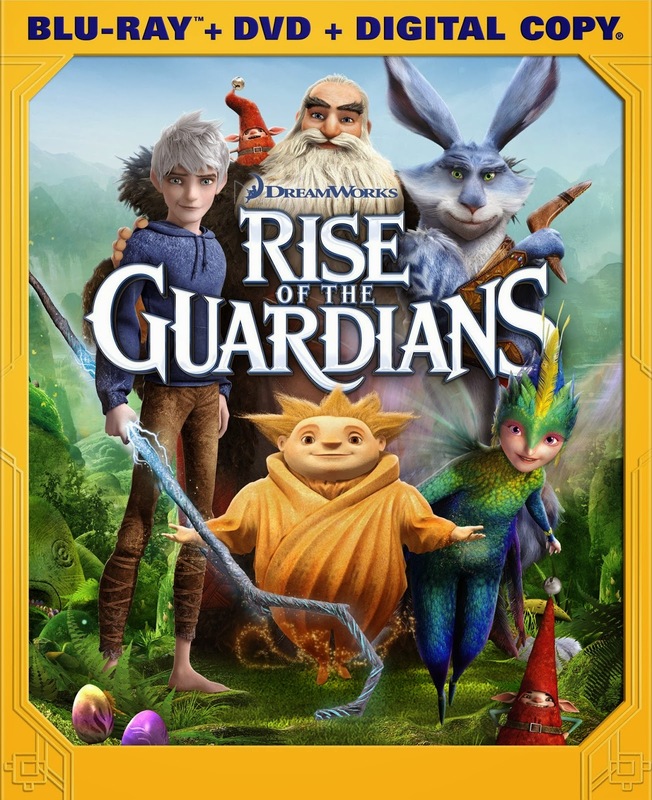 The movie may not quite have that extra something special which distinguishes the very finest animated films, but it's a very good, entertaining effort which is definitely worth seeing. 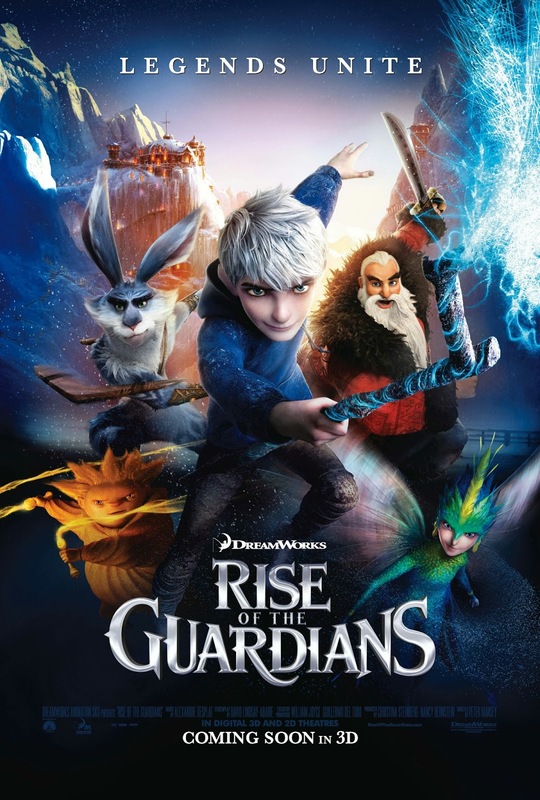 RISE OF THE GUARDIANS was directed by Peter Ramsey. It runs 97 minutes. Parental Advisory: This movie is rated PG, but I'm not really sure why. IMDb says it's for "thematic elements." It's spooky at times, but it's not any scarier than a film like SNOW WHITE AND THE SEVEN DWARFS (1937). With one exception, the film is also free of the crass bits which have marred a film like WRECK-IT RALPH (2012). It strikes me as appropriate viewing for all ages. 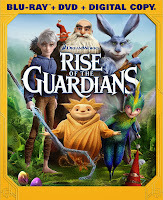 RISE OF THE GUARDIANS is available on DVD or Blu-ray. It can be rented from Netflix. It can also be downloaded for purchase from Amazon. It was nice to learn after the fact that Leonard Maltin responded to the film in much the same way. This is an enjoyable film worth checking out, and it's especially appropriate viewing for this time of the year. 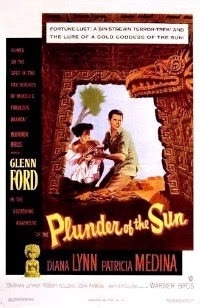 PLUNDER OF THE SUN is a rather plodding Aztec treasure mystery, filmed on location in Mexico. 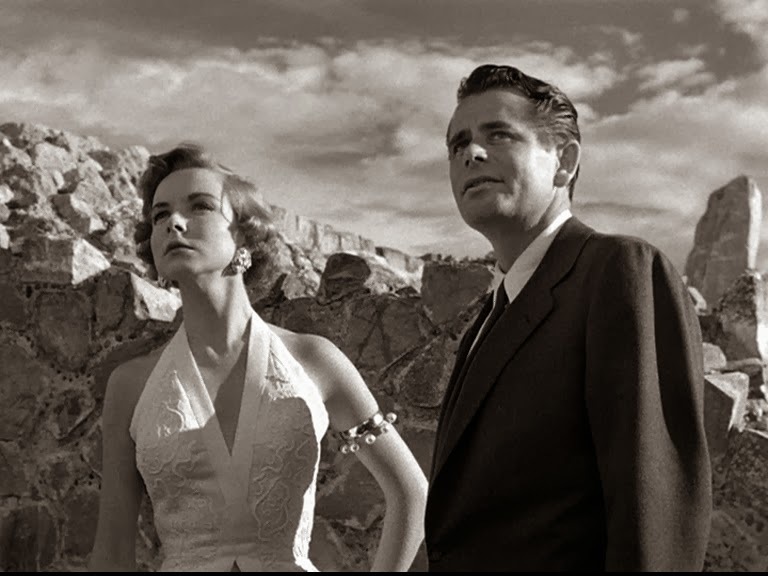 This story of an insurance man (Glenn Ford) who becomes entangled in looking for ancient treasure is interesting in fits and starts but never really takes off. The story meanders for 81 minutes as he becomes involved with a lovely lady (Patricia Medina) he meets in a bar, and there's also a woman (Diana Lynn) he crosses paths with on board a ship and at his hotel. I like Ford but this particular part seems to call for someone a little more devil-may-care; it would have been much more suited for Robert Mitchum. For that matter, Medina seems to be channeling Jane Greer, and Lynn's role seems to have been meant for Gloria Grahame, although the purpose of her character is for the most part fairly inexplicable. None of the characters are very well defined, with Medina coming off best, and the story, while watchable enough, lacks a certain fizz to make it really engrossing. Given the choice, a viewer would be much better off with a Mexican chase film such as Robert Mitchum and Jane Greer in THE BIG STEAL (1949). The movie's biggest positive factors are location shooting in Mexico and a fun turn by Sean McClory as a mercurial baddie also on the trail of the treasure. McClory, who appeared in John Wayne films such as THE QUIET MAN (1952) and ISLAND IN THE SKY (1953), is almost unrecognizable with a short blonde haircut and dark sunglasses. 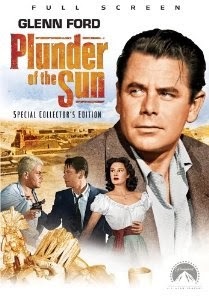 PLUNDER OF THE SUN was directed by John Farrow for John Wayne's production company. It was photographed by Jack Draper, an American-born cinematographer who spent his career in the Mexican film industry, occasionally filming U.S. productions shot on location in Mexico. The supporting cast includes Douglass Dumbrille, Francis L. Sullivan, and Eduardo Noriega. The screenplay was by Jonathan Latimer, a name which turns up regularly in my viewing -- in fact, one of his earliest screenplays was the Nick Carter mystery PHANTOM RAIDERS (1940) which I also watched today! Latimer's credits included THE GLASS KEY (1942), THE BIG CLOCK (1948), NIGHT HAS A THOUSAND EYES (1948), and THE WHOLE TRUTH (1958). He also worked on two of the great films in Frank Capra's Bell Science series, THE STRANGE CASE OF THE COSMIC RAYS (1957) and THE UNCHAINED GODDESS (1958). The DVD release is terrific, part of a series of John Wayne productions released in collector's editions. Extras include a commentary with Glenn Ford's son Peter and several featurettes, including an informative piece on Sean McClory. For more on PLUNDER OF THE SUN, please visit Riding the High Country and Tipping My Fedora. PHANTOM RAIDERS is the enjoyable second entry in the three-film Nick Carter series starring Walter Pidgeon. Like the first film, NICK CARTER, MASTER DETECTIVE (1939), PHANTOM RAIDERS was breezily directed by Jacques Tourneur. It's a well-paced 70 minutes with an interesting story. This time out Nick is in Panama, investigating the sinking of several ships. He's aided by his improbable righthand man, a beekeeper in a bowler hat named Bartholomew (Donald Meek). Will Nick solve the mystery in time to save Captain Ramsell (John Carroll) and Ramsell's fiancee Cora (Florence Rice) from being blown to bits? The movie has an intriguing premise, with villain Al (Joseph Schildkraut) using high-pitched radio signals to set off bombs on board the ships so that he can collect the insurance money. The genial Pidgeon makes pleasant company -- "If I'm wrong, I'll apologize!" -- and I enjoyed Bartholomew much more in this entry, as less was seen of his bees! I like that the mild-mannered Bartholomew constantly defies expectations, always coming through just when Nick needs him. Rice was stuck playing an unpleasant character who's all mixed up about who's good and who's bad, nor does Carroll have much to do, but Steffi Duna (seen at left) has a fun role as a Spanish-speaking gal who takes a shine to Nick. 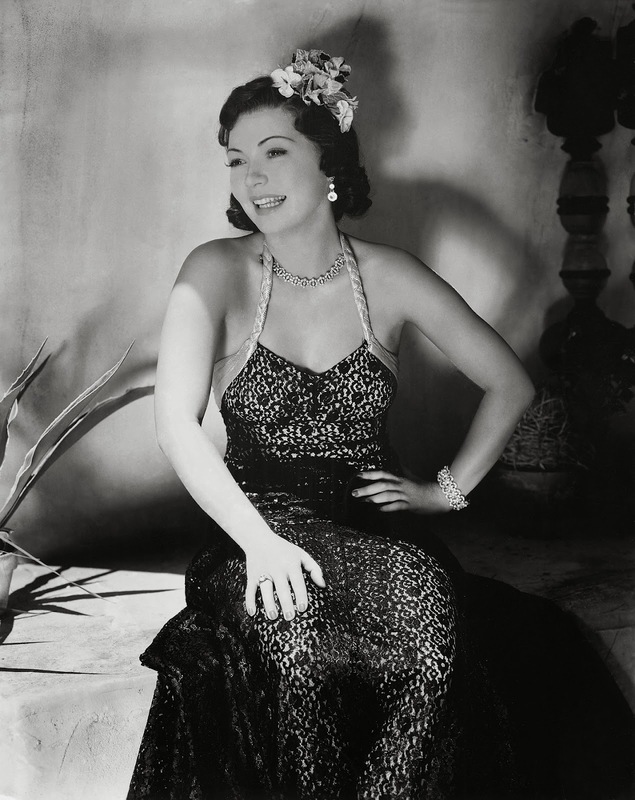 When I was a teenager I had the chance to meet Duna and get her autograph at a screening of the 1934 short LA CUCARACHA, part of an RKO series at the Los Angeles County Museum of Art. Duna and John Carroll had actually been married briefly in the mid '30s; the year PHANTOM RAIDERS was released Duna married actor Dennis O'Keefe, a union which lasted until his passing in 1968. The cast also includes Nat Pendleton, Cecil Kellaway, and Charles Coleman. 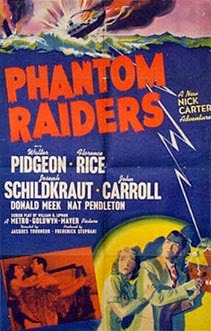 PHANTOM RAIDERS is available from the Warner Archive as part of a Nick Carter Mysteries Triple Feature. 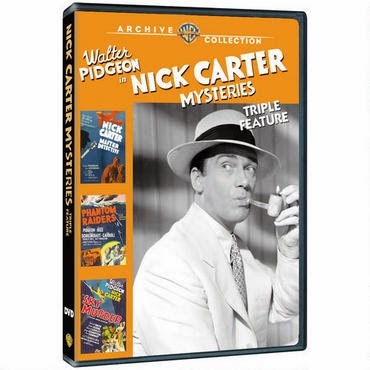 The set also includes NICK CARTER, MASTER DETECTIVE and the final film in the trilogy, SKY MURDER (1940). There's much more on the Nick Carter series and director Tourneur in my post on NICK CARTER, MASTER DETECTIVE (1939). Best wishes to all for a very happy and blessed Thanksgiving Day! I'm very grateful for many blessings, including all the readers who regularly visit and support this blog. Thanks to each one of you, and have a wonderful day! Today at Disney California Adventure: Viva Navidad! One of our family traditions is to spend part of Thanksgiving Eve at the Disneyland Resort, and this year was no exception. The Viva Navidad! street party was as wonderful as we'd heard -- pure Disney Christmas joy. I particularly loved the inclusion of the Three Caballeros. I hope this becomes an annual part of celebrating the holidays at Disneyland! Previous Thanksgiving Eve at Disneyland Posts: 2009, 2010, 2011, and 2012. Related: First Christmas on Buena Vista Street (November 2012).